Create the ultimate chocolate peanut butter brownie sundae cascading with the smooth, rich taste of this J. Hungerford Smith peanut butter topping. 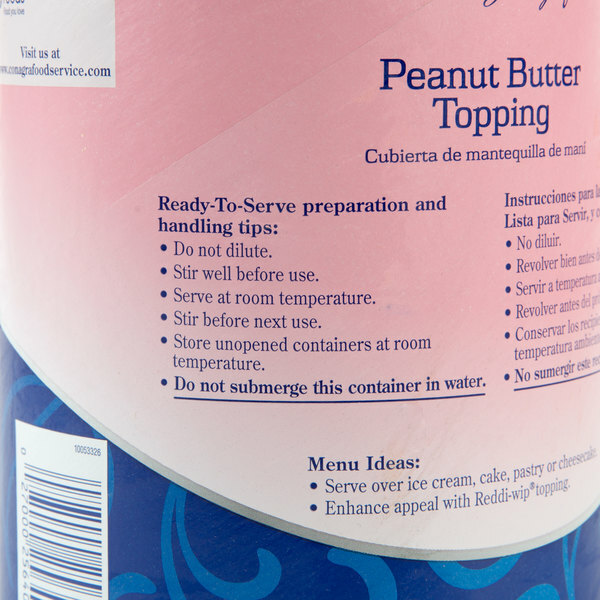 Perfect for front or back of the house needs, this peanut butter topping makes a versatile addition to any establishment. 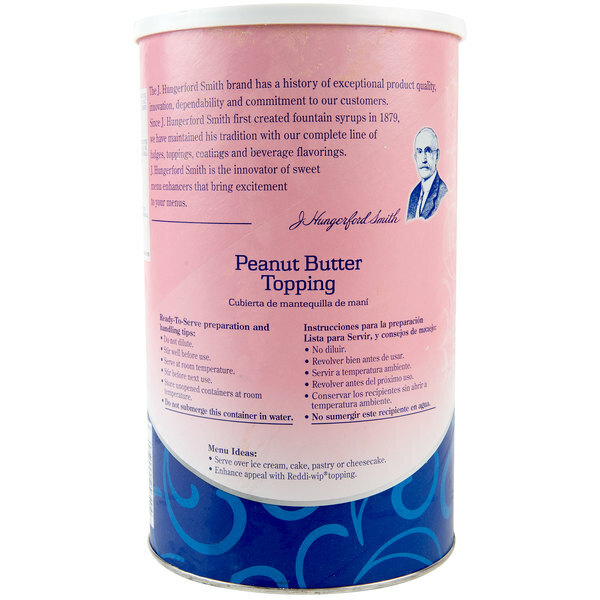 This melt-in-your-mouth peanut butter topping has a smooth, finely ground texture with a creamy, full-bodied peanut butter taste. 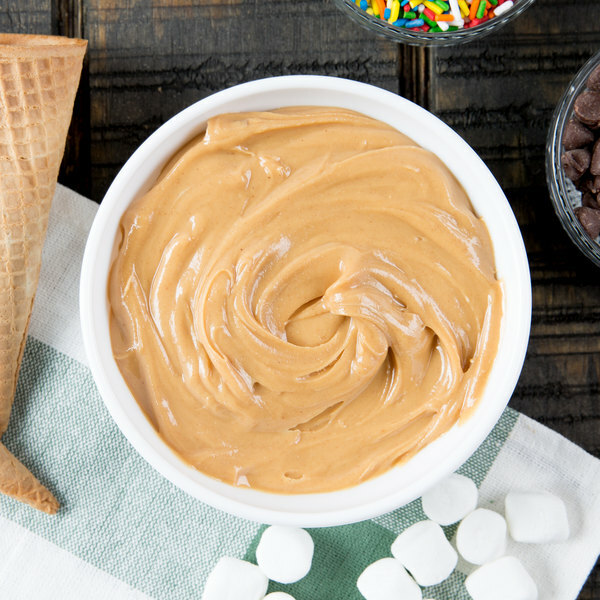 Drizzle peanut butter flavor over cheesecakes, cupcakes, brownies, and hard or soft ice cream. You can even use it to blend into thick and creamy peanut butter milkshakes! 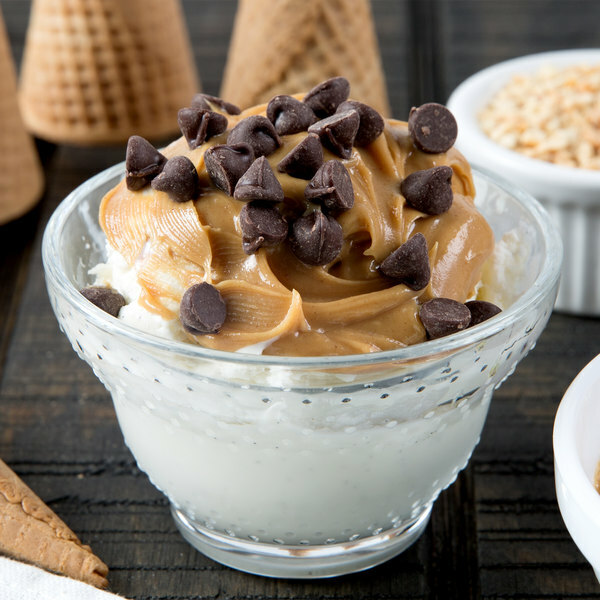 Perfect for your ice cream parlor, bakery, or restaurant, this peanut butter topping is a quick and easy way to enhance the appearance and taste of just about any dessert! 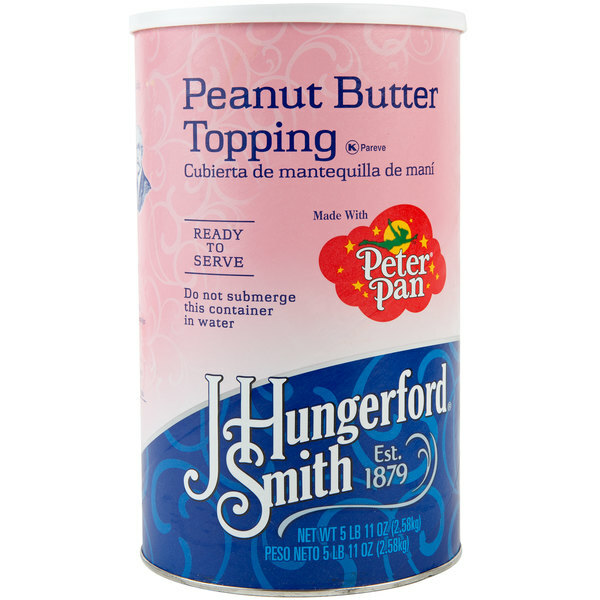 It is made with Peter Pan peanut butter and real sugar to provide a rich taste to your signature baked and frozen goods. Plus, it is ready to serve at room temperature for the ultimate convenience and comes with (3) 5.7 lb. containers per case, ensuring you will be in good supply during your busiest hours. 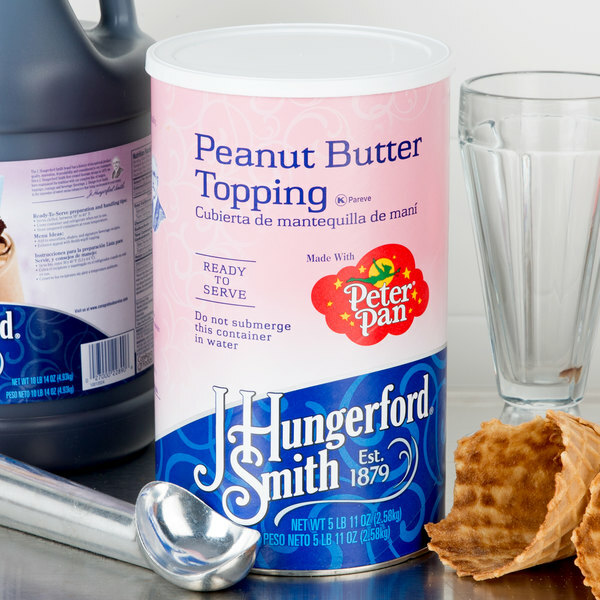 J. Hungerford Smith, established in 1879, provides any ordinary dessert with extraordinary flavor. They make their line of toppings and syrup with high-quality ingredients for amazing performance and superior taste. Bring the sweet taste of J. Hungerford Smith to your menu and offer a variety of enticing dessert items on your menu! This stuff is the perfect consistency for using as a topping. 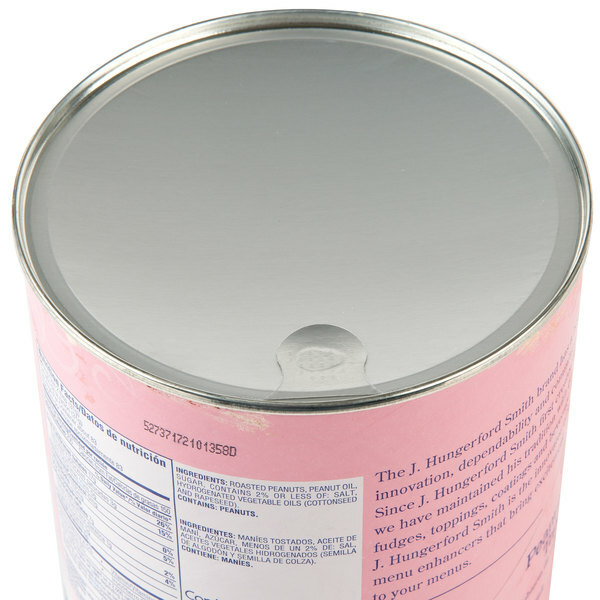 We put it on ice cream and it stays soft, plus we can portion it into bottles and squeeze it out easily. I haven't seen it separate yet and I've been using it for a year. I think it tastes exactly like the peanut butter I buy from the store despite the differences in thickness (side note: I buy Peter Pan peanut butter at home). 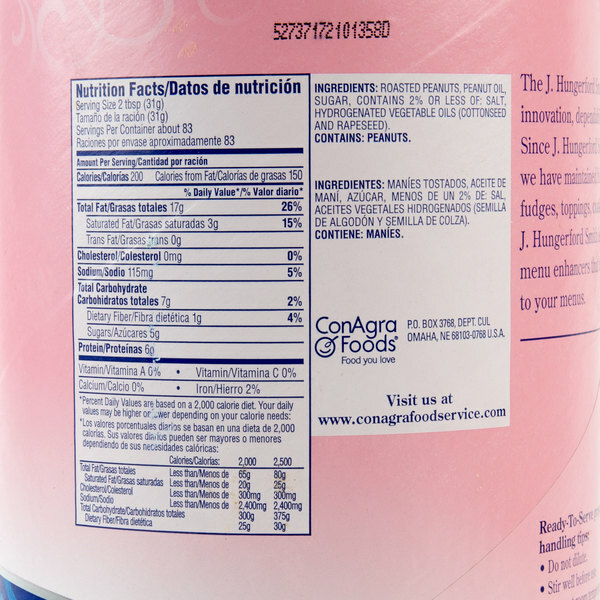 If you're looking for peanut butter like Jif or what you put on a PB&J, this isn't for you. If you want something as a drizzle or spoonable topping, it's perfect.